F1 matters move on very quickly. And if you need recent evidence of this you need look no further than to the curious case of Felipe Massa. It seems no time since, earlier in the year, we were declaring Felipe as finally being back to his best. He looked confident out of the car and quick in it, and had out qualified his haughty team mate Fernando Alonso four times in a row. Some of the excitable started to talk about his 'getting under Alonso's skin'. Felipe Massa - not waving but drowning? Yet before we know it we seem almost back to where we started. Massa's in the doldrums again, his last four race weekends have each featured at least one accident or spin (and he's scored but 12 points in this time), including in the latest race in the Nurburgring where he spun off after four laps, which the man himself admitted subsequently was a driver error. And equally suddenly the wolves are at Massa's door regarding his 2014 Ferrari future - in poor timing the slump has coincided with the point that moves to firm up drivers for the following year gather pace. Admittedly Massa was running ahead of Alonso at the time of his latest misdemeanour. But, if we're to be brutal, that's always been the way with Massa: that he is capable of going quickly but also that mistakes never seem too far away. These have been his traits going right back to his early days at Sauber (traits which led to Jacques Villeneuve describing Massa as 'probably the worst driver out there' in his debut year of 2002). He seems a very reflexy sort of driver, one that asks a lot of his car, but the flip side is that he never seems to offer himself much of a safety margin, and also that he doesn't appear to know any way other than to push. If he has a car that is ultra-planted, as he had in 2008, then he might broadly get away with it, but even in that season - viewed very much as Massa's personal tour de force - there were errors, most notably in Malaysia when he spun away an easy second place, discarding points that would have comfortably tilted the title in his favour as things transpired. 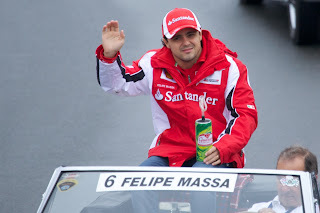 That Massa's still at Ferrari owes to a few things. Part of it is chance in that credible alternatives haven't materialised: Robert Kubica got injured; Mark Webber and Jenson Button turned Ferrari down. What has also helped is that these days he comes with an all-important Fernando Alonso Good Housekeeping Seal of Approval. In other words Felipe can be counted on to accept his somewhat subjugated role. But equally, Ferrari wants a wing man who can bring the thing home and thus gather points for the constructors' fight, get into the front-running mix and take points from Alonso's rivals. And Massa despite many chances has yet to demonstrate that he can do these consistently; it feels rather like the Scuderia has little to lose and potentially much to gain by replacing him. Stefano Domenicali has since the German race defended Massa, but the fact that the question was raised at all is not good (and it is a little redolent of what in football they call 'the dreaded vote of confidence' before a manager is fired). Various names are being touted in the media to replace him as we speak. 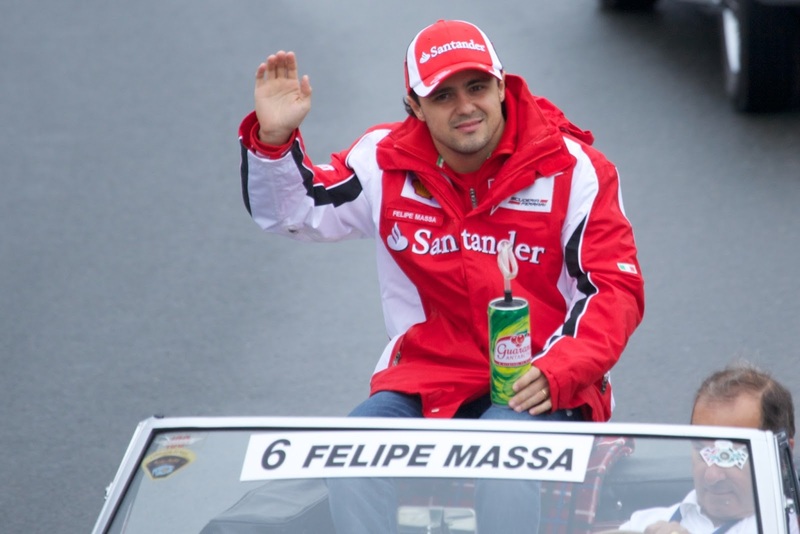 And furthermore, if Massa is retained for 2014 it'll be year nine of his Ferrari frontline career, and while no stint at a single team has a finite limit on it, the 'time for a change' feeling at the Scuderia may be overwhelming. It, sadly, by now feels rather a lot like an endgame for Felipe. Mark Webber could have looked good in a Ferrari for next year. Yes, I agree. I thought Webber to Ferrari for 2014 was still a possibility too even after his snub of the team last year. But obviously now Webber's made his decision. Maybe Hulk or DiResta could be worthy replacements? Yes, I think those two will be at the top of Ferrari's list. It's hard to think of two better (available) candidates for the seat. I suspect Hulk will be Ferrari's first choice (I've also heard a rumour that Ferrari has some kind of first refusal on him). Thing is, Lotus is interested in Hulk too, though that move I'd imagine would depend on Kimi going to Red Bull. Lots of cliches and assumptions in this. Boring. My apologies that it wasn't up to your standards. Massa may be doing horribly right now, but those are worse options. Webber hasn't driven well in ages and will absolutely not accept a #2 position, and Button is losing to freaking Perez of all the people. That's the real problem Ferrari have. No options whatsoever. Maybe Bianchi could work, but I seriously doubt they'd be able to force someone like him to act as a #2, especially since Alonso himself is underperforming right now. The Webber approach was in 2012, the Button approach was in 2011, so we're not talking about here and now. But I think Ferrari right now would see either one of those two as a better, and safer, bet than Massa for that seat for 2014 (and Button's got double the points of Perez, which seems an odd definition of 'losing'). I agree in the sense that Ferrari doesn't seem overwhelmed with options right now, Hulkenberg seems the best available as mentioned in my earlier comment. But make no mistake, Bianchi would bite Ferrari's arm off if he was offered a race seat there for 2014. He's in a Marussia remember, he's hardly going to picky about whether or not he's #2. And in any case, in my view people get *way* too bogged down with this #1/#2 business. The days of a #2 driver getting much worse equipment which much worse reliability (e.g. Dumfries at Lotus, the various team mates of Nelson Piquet at Brabham) are long in the past. Whoever gets the Ferrari seat for 2014 will have a chance to test themselves alongside Alonso in equal equipment. And you must have high standards if you think 'Alonso is unperforming right now'. And why are you even remotely taking Jacques Villeneuve, the least worthy world champion of all time, seriously? If he really was 'the worst driver out there' in 2002, Rob Smedley wouldn't have spotted him, and Ferrari certainly wouldn't have picked him up. And let's not forget who else backed him - none other than Schumacher. Also, why are you even mentioning 2008? He lost far more points due to misfortune than due to his own mistakes, and it's not like Hamilton had a clean season either. The only other drivers who excelled were Vettel and Alonso, and they were both still arguably worse than him that year. Not only that, but that season was before his crash and especially before Germany 2010. He was much better back then - just look at Kimi in that period. I was making the point that Massa's always had a tendency to make mistakes (although he's always been quick too, as I said), and the Jacques Villeneuve quote was for illustration, showing that it's always been a trait going right back to his debut year. And I remember 2002, and Villeneuve's view towards Massa was not untypical. Far from it. And in making the point I also outlined that even in 2008, broadly seen as Massa's best year, there were still mistakes in there, such as in Malaysia, as well as in Australia (and I'm not even touching Silverstone). It's a trait he's never fully shaken off. And I don't believe Rob Smedley ever 'spotted Massa', not back at the start of his career anyway. He didn't become Massa's engineer until mid-2006. Indeed, Smedley was still at Jordan when Ferrari picked up Massa. As for the Kimi comparison? Well, I've never denied that Massa is fast as I've said, but equally it's not at all clear the extent that Kimi was on his best form for much of 2008 and 2009.